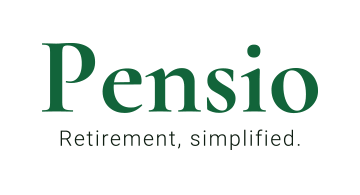 Pensio is an early stage, online annuity startup (pre-revenue, pre-launch) that aims to help solve the ever-growing U.S. retirement crisis. Today, Americans are living longer and employer-sponsored pensions are rarely available. Social Security alone is not sufficient, and the burden rests on the individual. Where can people turn for steady retirement income that's guaranteed to never run out? We believe annuities are fundamentally a great solution, but today's are complex, outdated and cumbersome. Our product is a simple, affordable annuity that uses a B2B2C distribution model to help address the key pain points of current offerings. My partner built new annuities for a top 5 carrier and as a former financial advisor myself, we are keenly aware of market demand for an income solution and the gap for a modern annuity product.